The women and men profiled here act as role models to co-workers and students. They’re dedicated—no matter what. And each has worked behind the scenes for decades to help make UVA a safer, stronger place. Whether baking her signature pound cake for visitors to her Peabody Hall office or traveling to talk with high schoolers about the University, Valerie Gregory sends a message to current and prospective students in racial minorities: You are not alone at UVA. Gregory (Educ ’89), an associate dean and director of the Outreach Office in the Office of Admission, travels the nation talking with minority students at high schools, civic organizations and houses of worship about the admissions process and how to make college affordable. 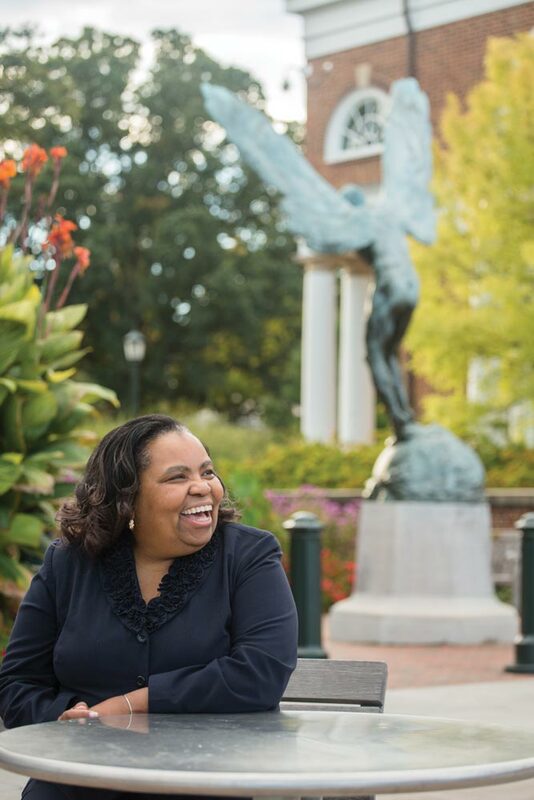 Among her initiatives, Gregory worked with the Alumni Association to launch the Virginia Alumni Admission Network, or VAAN, a group of alumni in 11 cities who help recruit students from underrepresented groups. There can be turbulence, snow or a pitch-black Central Virginia night sky. 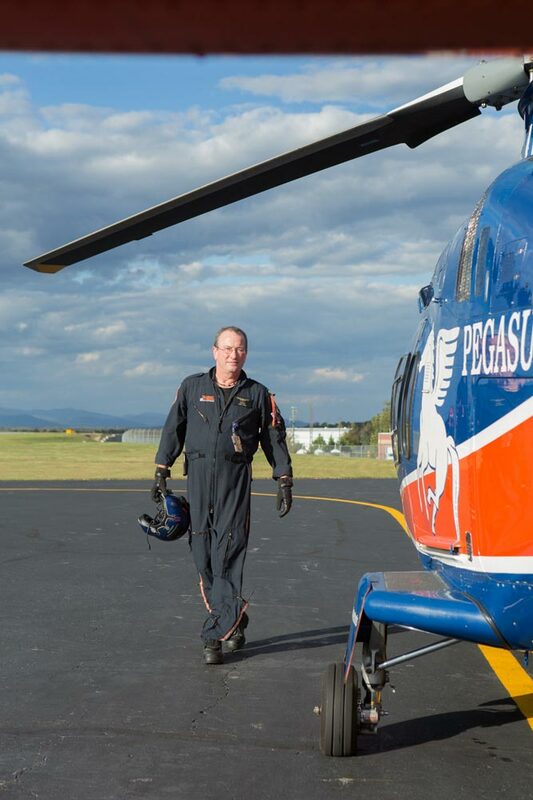 Whatever the challenging conditions, flight nurse Bob Knox is aboard the UVA Pegasus helicopter, rescuing patients facing life-or-death injuries or illnesses. The longest-serving member of the Pegasus crew—since the program’s inception 31 years ago—Knox (Col ’84, Nurs ’90, ’91) works in a space about the size of the back of a Suburban to briskly intubate, defibrillate or insert a central line. A native of West Springfield, Virginia, Knox, 53, began paramedic training as a UVA undergrad. Three months after graduating with a psychology degree in 1984, he started flying on Pegasus—taking breaks only to advance his training with a bachelor’s degree in nursing and a master’s in critical care. Each flight consists of a pilot, a flight nurse and a flight paramedic; 31 pilots, nurses, paramedics, mechanics, drivers and administrators make up the team, serving an area within 120 miles of University Hospital. Advances in technology have yielded invaluable equipment, such as night-vision goggles and GPS mapping. But what Knox values most are his crewmates. In the summer of 1982, Becca White (Col ’84), a UVA undergraduate majoring in mathematics, took a job as a student driver with the University Transit Service after a friend told her it was “the best job on Grounds.” It paid well for a student job, with flexible hours. “I loved it,” she says; she soon became a trainer, a supervisor and the go-to person for big events. For 14 years now, she has been the director of UVA Parking & Transportation, where she is known for her work to forge new ways to get around Grounds without a car, improve safety for patients coming to University Hospital, and make buses and parking spaces accessible to all. She has overseen the transition to a bus fleet that has ramps to accommodate wheelchairs. She also put parking attendants at entrances to the 11th Street Garage at the Battle Building at UVA Children’s Hospital to ease the arrival of patients and visitors. Technology now enables passengers to track buses on their smartphones, and the P&T department can count how many people are boarding with an "electronic eye” installed in the doorways. Under her, P&T has forged a partnership with the Office of the Architect to support the University’s land-use and sustainability goals. That has led to new initiatives such as UBike, UVA’s popular bike-share program. Bucky Crickenberger often comes to work as early as 3:30 a.m.—it’s the best time to tell when outside bulbs are burned out. A high-voltage electrician at the University, he has been dubbed “Mr. 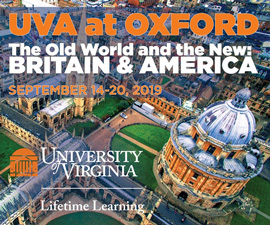 UVA” by his co-workers in Facilities Management. 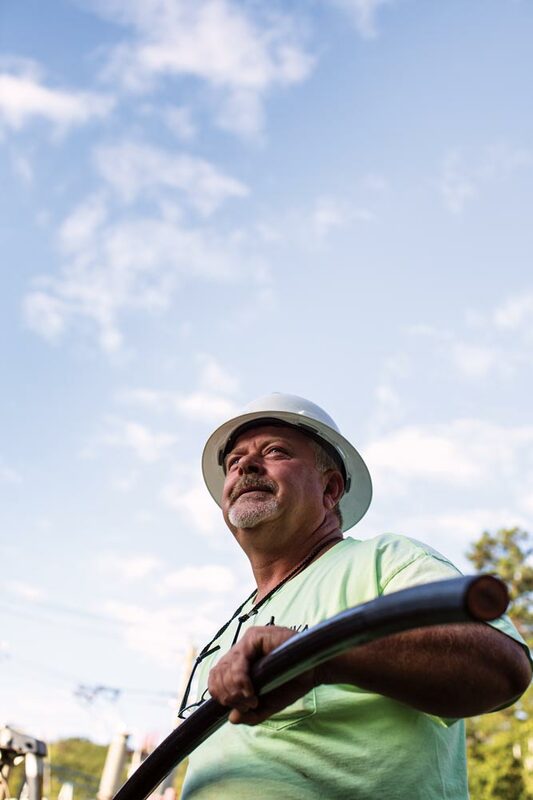 As one of the leads in the 14-member power and light group, he is responsible for maintaining the wiring, ballasts and bulbs for 5,000-plus exterior lights on Grounds. But practically every day he serves well beyond his job description. Licensed to operate heavy equipment, including cranes, it’s Crickenberger who is often at the helm when something heavy and precious needs moving, such as a 118-year-old marble capital from atop a Rotunda column or four concrete panels from the Berlin Wall—weighing more than 4 tons in total—that were installed near Alderman Library in 2014. One steamy day last September, Crickenberger worked with just one partner and a crane to hoist an 8,800-pound generator bound for a new building. No matter the assignment, he makes sure it’s done right. In May, he was honored with UVA’s Leonard W. Sandridge Outstanding Contribution Award and the Governor’s Award for Customer Service. 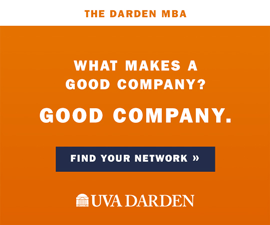 Crickenberger, a Charlottesville native, first became a UVA employee in 1980, while still in school at Albemarle High. He started out as a warehouse assistant, then became an electrician in food service and later store-room manager at Newcomb Hall.